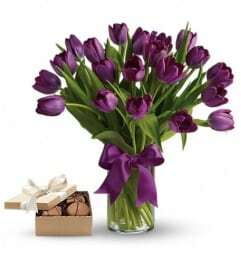 Give Mom a hooray day with lush lavender and purple flowers in a cheerful clear glass vase graced with violets, violets, violets. 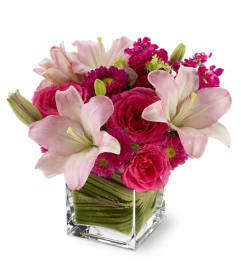 She’ll love the fresh flowers and cherish forever the violets that bloom on her vase. 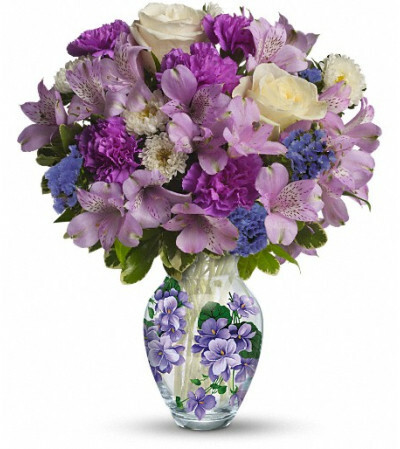 The lovely bouquet includes lavender alstroemeria, white matsumoto asters, lavender carnations and purple statice accented with assorted greenery. Delivered in a charming clear glass vase decorated with a motif of violets.